Evolution Studios continues to update the community on the server issues plaguing the game since launch. The latest update states that the majority of players should be able to connect and play online now, but the multiplayer mode still isn’t 100% yet. In fact, more server updates and upgrades are still in the works to improve connectivity further. And as usual, there is still no word on the PlayStation Plus edition of the game – at this rate, the game may be part of November’s Instant Game Collection. 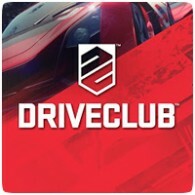 We’re still improving server performance to get all of you enjoying full online connectivity together, but the majority of DRIVECLUB players should now be able to connect and play online. More server updates and upgrades are coming online over the weekend, so while this work continues you may still experience some issues with connectivity but please keep trying. When you do get connected you can go online, play for your club, use your club cars, play multiplayer races, compete in face-offs, and compare your best times and scores with everyone on the leaderboards. This is in addition to playing in Tour mode, creating your own single events and customising your cars in your garage (which you can do offline too). We will continue to keep you informed as we make progress and we know we’ve said this before but we mean it: We know how frustrating it is when you can’t get connected and we feel it too. We are working flat out to get online sign-in, multiplayer racing and leaderboards running smoothly for everyone, all of the time. We can’t thank you enough for your messages of support and feedback during the past week, so please keep talking to us and sharing your thoughts about the game while you play.